A restaurant with robots that serve you fresh quinoa bowls. An extensive indoor mini-golf course. A Japanese-style cat cafe. Numerous high-quality tech startups. You’re already well aware that this city is at the forefront of innovation, and that it’s an expert at making that innovation look as hip as possible. Whether your office is on an industrial-chic street in the Mission, on a bohemian corner in the Upper Haight or nestled in the picturesque Marina district, your company needs a way to showcase its own beauty. Let us help you do exactly that at your next company event, be it a product launch, tradeshow or corporate gathering. The best way to make some noise in true San Francisco style is with a memorable special effect, such as a 360 degree photo booth. You may have seen these booths before. A 360 photo booth is a multi-camera photo experience that lets everyone feel like a star. Much like this city, a 3D photo booth is the ultimate fusion of art and technology. 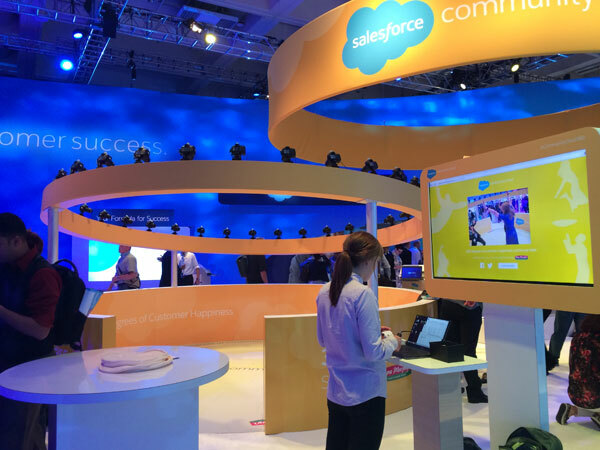 We’ve worked with brands like Dyson, Under Armour, HBO, even San Fran’s own Salesforce to make next-level brand activation and experiential marketing happen in groundbreaking ways. From green screens to play-by-plays to event microsites, we capture a comprehensive view in order to build an experience tailored to each company’s needs. Watch videos of our bullet time photo booth work or talk to us today to learn more about how our work can help you. Give your Bay Area business the hype it deserves with irresistibly share-worthy photographic evidence of your on-point branding. The Painted Ladies can’t have all the fun. Book a booth and let your company have a customized platform for its greatness. Looks like we built this city on rock and roll after all.